This entry was posted in 1270 2SM, Andrews Legends on the Mic, Classic Australian radio commercials, Competition calls, Funny stuff, Historic radio, Imaging, Jingles, Personalities, Radio News, Radio station and tagged 1270 2SM, 1982 Sydney AM Radio, David White, Frank Fursey, Hon Nick Jones, Ian Mac Rae, Maccas last show, Scoped aircheck, Sydney radio, theradioantenna.com on March 19, 2017 by andrew. This entry was posted in Classic Australian radio commercials, FM 104, Historic radio, Imaging, Personalities, Radio station, Station promo's on July 10, 2014 by andrew. 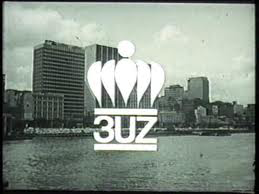 This entry was posted in 3UZ, Andrews Legends on the Mic, Classic Australian radio commercials, Historic radio, Imaging, Jingles, Personalities, Radio station and tagged 1967, 3UZ, Aircheck, Announcers, Imaging, Jingle, John Vertigan, Melbourne Radio on March 21, 2014 by andrew. This entry was posted in Classic Australian radio commercials, Uncategorized on March 2, 2013 by andrew. This entry was posted in Classic Australian radio commercials, Jingles, Personalities, The Greater 3UZ on January 10, 2013 by andrew. This entry was posted in 1420 3XY, 70's radio, Classic Australian radio commercials, Jingles, Personalities, Radio station on January 4, 2013 by andrew. Last time I saw John was The Future School of Radio 1983 North Sydney, can’t seem to find anything about what has happened to him, can anyone help. This entry was posted in Classic Australian radio commercials on January 1, 2013 by andrew. This entry was posted in 4IP, 70's radio, Classic Australian radio commercials, Radio station, Station promo's on December 29, 2012 by andrew. Permewans, now there’s a classic, I think he forgot what station he was on ? This entry was posted in 2TM, 70's radio, Classic Australian radio commercials, Radio station on December 28, 2012 by andrew. This entry was posted in 70's radio, Classic Australian radio commercials on December 22, 2012 by andrew.